In 2013, I had written a brief history of the fire alarm systems in the New York City World Trade Center. These were published on The Fire Panel Forums until a server crash necessitated me to move them to this website. Below is my original post in its entirety (or view an archived version here). After doing a bit of research, I have pieced together the following descriptions of the two fire alarm systems that were installed in the World Trade Center from the time it opened to the September 11 Terrorist Attacks. Please not that I am posting this history to show how fire alarm coverage worked in a campus as large as the World Trade Center, and am not trying to send the message that the fire alarm system in these buildings was more important than the 1993 bombings on the 9/11 attacks, or something like that. In addition, I’m pretty sure that some of the pictures on here have been shared on this forum and some other ones before, so please excuse the redundancy. The pre-1993 fire alarm system encompassed WTC 1, WTC 2, WTC 4, and WTC 5, as well as the concourse and sub-grade levels. 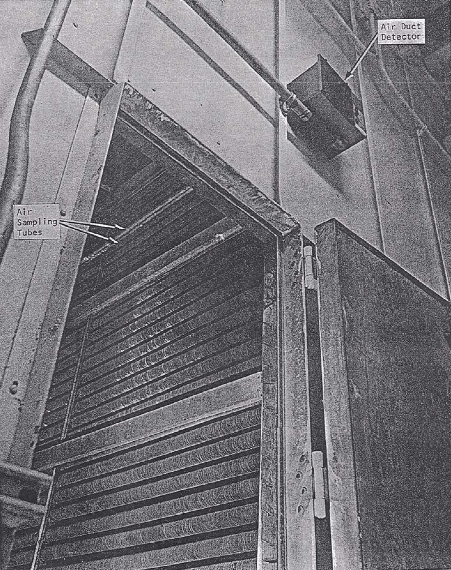 The system consisted of American Multiplex Remote Monitoring Transponders, on every third floor, connected to the Digital Computer and Console in the Operations Control Center (OCC) on the B-! Sub-Grade Level. 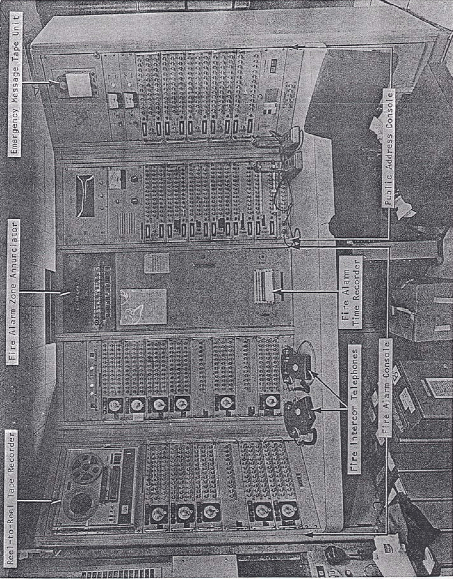 The Transponder monitored Pyrotronics CR-7 equipment connected to type DI-2, DI-3, DI-4A, and DI-7 smoke detectors (non-addressable), Pyrotronics System 3 panels, tenant proprietary systems, waterflow stitches, tamper switches, and control contacts. 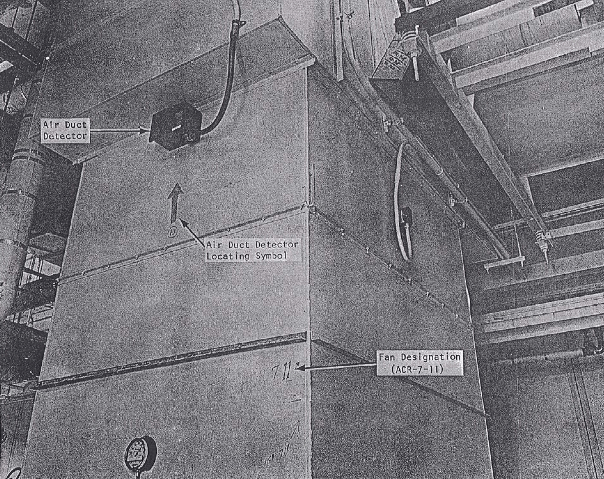 Pyrotronics XL3 smoke detector systems, with addressable detectors were installed in the mechanical equipment rooms of WTC 1, as well as WTC 2, and were connected via a CXL Communication Devices to a console in the OCC. 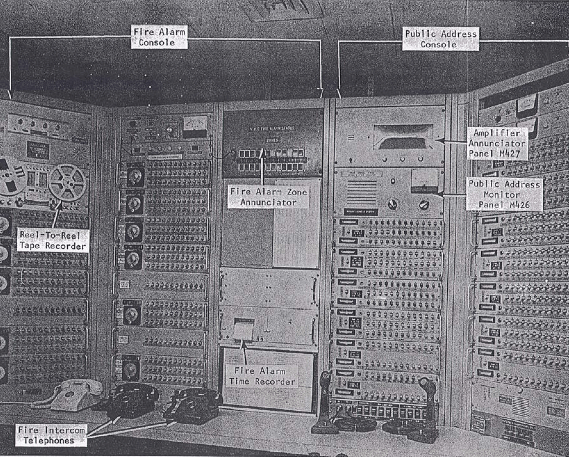 Manual pull stations were wired to an existing Executone system which alarmed directly to NYFD. 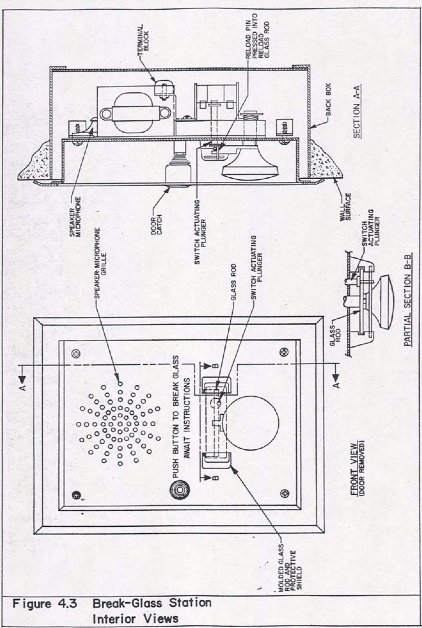 The pull stations used in this system were break glass stations combined with a two-way intercom in one unit. 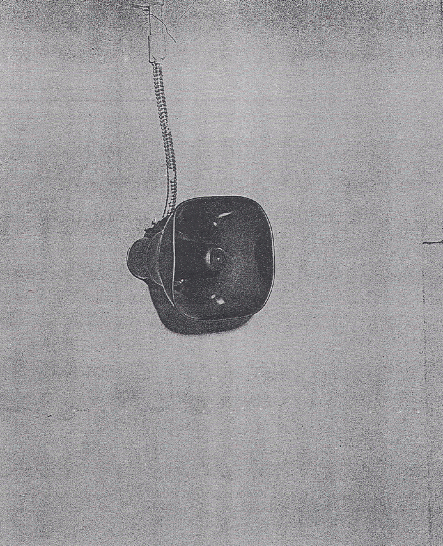 The glass rod was broken by pushing a spring-loaded pushbutton. A protective shield helped to stop the flying glass. 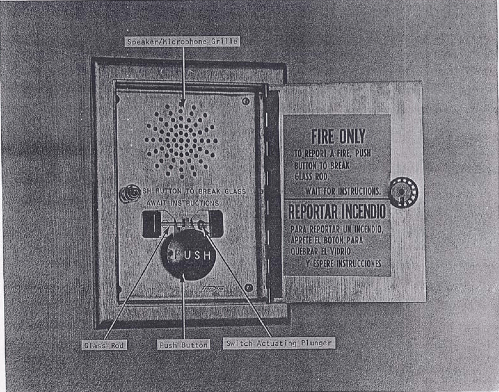 The speaker/microphone, located inside of the pull station, allowed conversation over the fire intercom system to the Police Security Room on level B1. The pull stations were model C3002, manufactured by Executone, Inc., located in Long Island City, New York. Many tenants during this time had their own smoke alarm systems. Since the designs of those systems were varied, their descriptions are beyond the scope of available documentation. 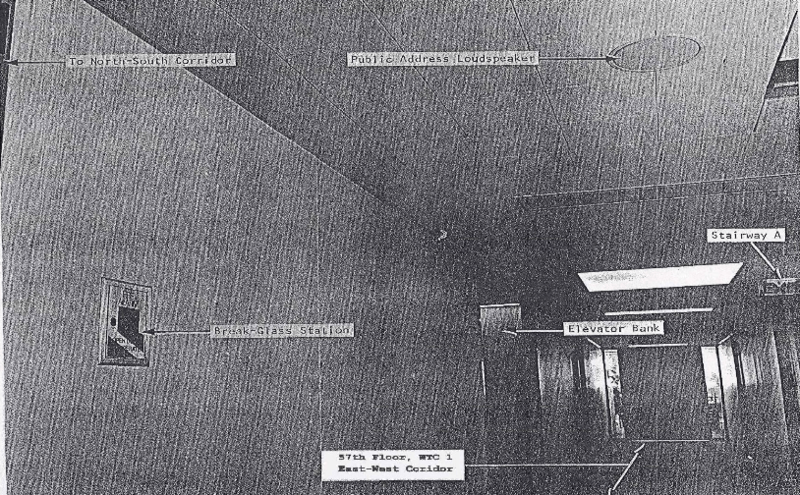 There were two types of speakers used in the WTC: the horn loudspeaker and the recessed ceiling speaker. 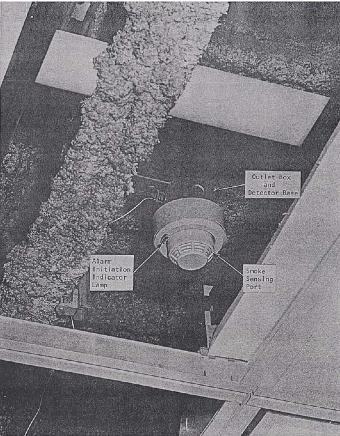 Speakers were located in the corridors stairways, and in the core area of the ventilation ducts. 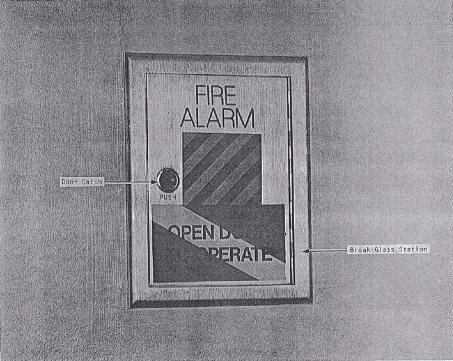 The fire alarm systems in WTC 1 and WTC 2 were replaced following the 1993 World Trade Center bombings. 1. 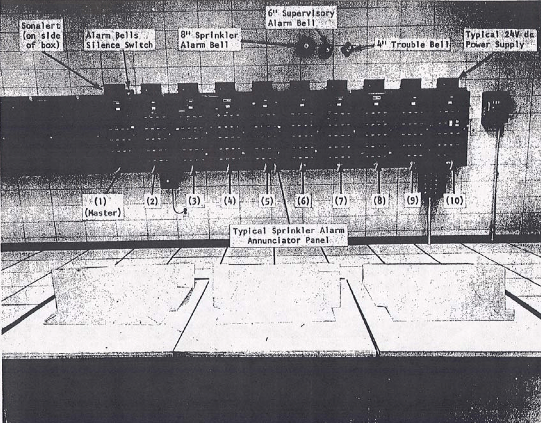 Phase one consisted of the system’s backbone, the master fire alarm panel, which was the Cerberus Pyrotronics MXL-V, Cerberus Pyrotronics MXL-VR remote transponder panels, and amplifier cabinets. This phase was completed sometime between 1995-1997. 2. Phase two consisted of transferring monitoring and control of existing fire alarm devices to the new system. 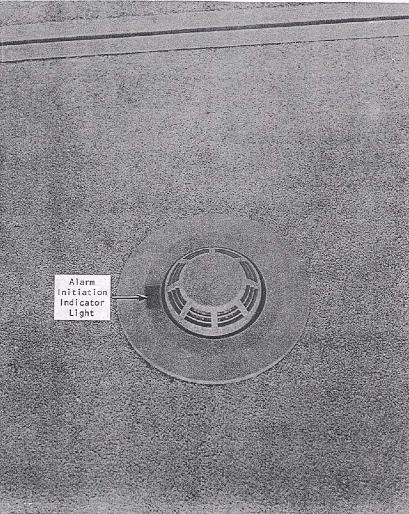 Both the existing American Multiplex system and the MXL-V were operating concurrently during this time. New core area speakers, warden phones, and pull stations were connected to the new fire alarm system as well.This phase was also completed sometime between 1995-1997. 3. Throughout phase three, all existing fire detection devices were replaced, and the new speaker and strobe capabilities were expanded into all tenant and mechanical spaces. The existing American Multiplex system was to be disconnected and removed, but that had no occurred by the September 11 attacks. It was estimated the 25 % of the American Multiplex system was still in use at that time. By 9/11, 85 % it was estimated that 85% of WTC 1 was completed, 80% of WTC 2 was completed, both WTC 4 and WTC 5 were 60 % completed, the concourse level was 100 % completed, the mechanical rooms were 40% completed, and the sub-grade and global fiber optic loop interconnecting all six systems were 0% completed. 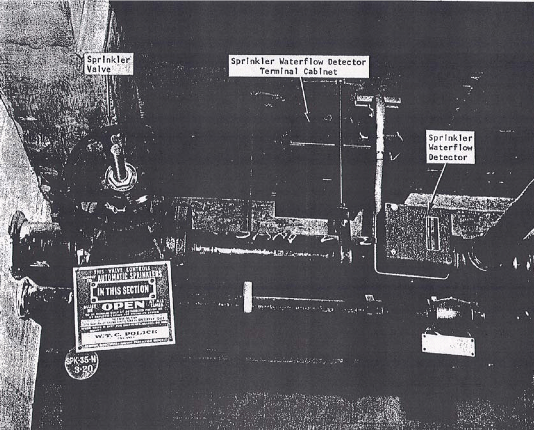 Throughout the 12,000,000 ft2 WTC complexes, it was estimated that over 10,000 iniating devices (including smoke detectors, pull stations, water flow indicators, etc. ), 30,000 notification appliances (speaker/strobes), and over 700,000 ft of conduit and 5 million feet of wire were installed. "This is a photgraph of the One World Trade Center Fire Command Station (310A). Seated is Lloyd Thompson, Fire Safety Director and Standing John Drucker Jr., Siemens Fire Safety Project Manager. 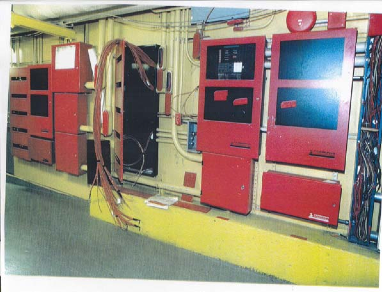 The equipment shown is the WTC Fire Alarm and Evacuation System. 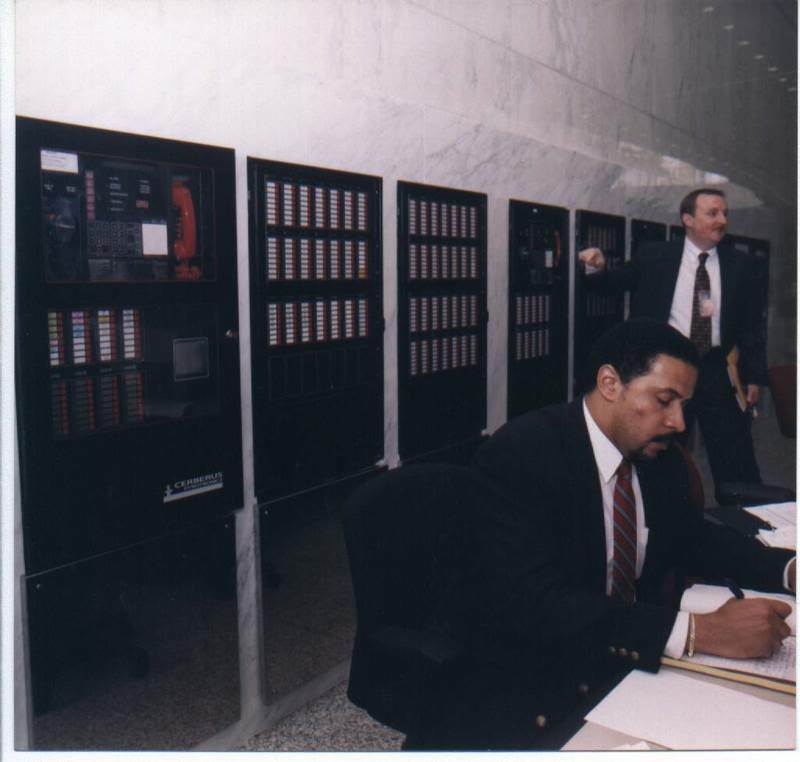 I spent 8 1/2 years at the WTC working with the Port Authority of NY & NJ to restore, engineer and upgrade the Base Building Fire Alarm and Evacuation System at the World Trade Center. God Bless those who perished that fateful day especially my dear friend James Barbella. 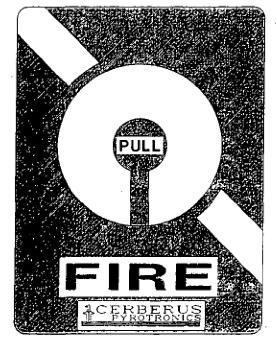 Sincerely, John Drucker jr."
A representation of the Cerberus Pyrotronics pull stations in the WTC fire alarm system.